MIRAMAR BEACH — Tucked away in a corner of the second floor of the Medical Office Building at Sacred Heart Hospital on the Emerald Coast is what looks, at first glance, like the best playroom ever. 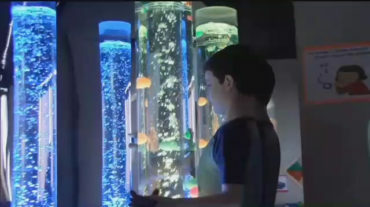 Among its features are a ball pit, stuffed animals, thick pads on the floor for jumping or rolling around or whatever, a projector that shoots patterns onto one wall, tall columns encasing bubbling water filled with bouncing plastic fish, a fiber-optic “waterfall” and a box filled with swirling lights. 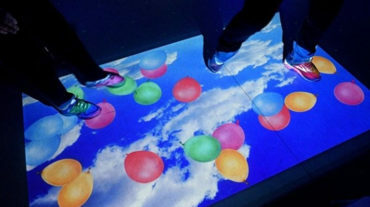 In one corner, a disk outfitted with large push-buttons lets the child using the room change the color of the cascading lights to suit his or her mood or preference. It’s a lot of opportunities for fun packed into a space not not much larger than the average family room — but it’s all there for a serious purpose. Open for just a few weeks, the Pediatric Multi-Sensory Environment is the latest addition to Sacred Heart’s Pediatric Rehabilitation department. It is used as therapy for young people with sensory challenges like autism, and it can also be used to prepare children with other challenges for the other forms of pediatric rehabilitation available at Sacred Heart on the Emerald Coast. “We do a lot of imaginative play in here. We elicit a lot of conversation,” explained Courtney Youngblood, the occupational therapist who spearheaded the effort to bring the Snoezelen room — the word is a blend of the Dutch words for “snuggle” and “snooze” — to Sacred Heart. The word was coined in the late 1970s by two Dutch therapists, Jan Hulsegge and Ad Verheul, who invented the concept of using sensory experience to reach people with with intellectual disabilities. Sacred Heart’s Snoezelen room is used by just one child at a time, with a rehabilitation specialist also in the room. The intent is to let the young person decide how he or she wants to use the room, but a computer terminal on one wall provides therapists with suggestions as to how to configure the room for many specific sets of circumstances. For instance, Youngblood explained, it might not be wise for a young person with a seizure disorder to create an environment with a lot of changing colors, which could elicit a seizure. But youngsters with seizure disorders do use the room, Youngblood said, and in addition to helping with sensory challenges, it also can help children dealing with developmental delays. Also, according to Youngblood, the room can be used to get children into a good frame of mind for other forms of therapy available in the Pediatric Rehabilitation department, like the physical therapy done in the playground-like room next door, equipped with a sliding board and a miniature climbing wall. In some instances, Youngblood added, time in the Snoezelen room is seen as a reward among the young people spending time in pediatric rehabilitation at Sacred Heart. In fact, Youngblood said, children will sometimes ask to use the Snoezelen room. Thus far, she said, it has been effective for a wide range of young people, including a 13-year-old who found the room a comforting place to write as part of their therapy. The equipment filling the room cost upward of $30,000, and there are plans to add to its offerings, extending the padded play area farther across the floor and maybe adding a swing. The initial money came from the Sacred Heart Hospital Volunteer Guild, which each year uses money from the hospital gift shop, which it operates, and its annual “Duck Regatta” fundraiser to enhance the hospital. The guild solicits proposals from each department of the hospital, hears presentations on the proposals, and then decides which proposals get funding. “Our focus really has been on pediatrics in the last 24 months,” said Joe Johnston, a guild member who handles the organization’s fundraising. Just prior to funding the Snoezelen room, the guild provided $16,000 for the hospital to purchase some special care equipment for premature babies, he said. 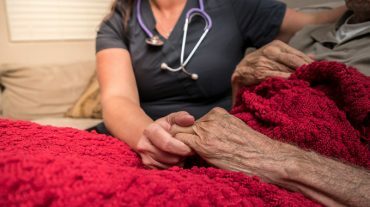 Click here to read the full article at NWFDailyNews.com.